WASHINGTON, DC--(Marketwired - February 02, 2016) - Ifrah Law PLLC, a Washington, D.C.-based law firm focused on complex civil and criminal litigation is pleased to announce that George R. Calhoun V, a noted litigation and trial attorney, has joined the firm as a member and will become chair of its Financial Services practice. Mr. Calhoun's practice primarily focuses on the litigation of complex disputes for clients in a broad array of disciplines, including contracts, consumer financial services, securities regulation, corporate disputes, real estate, fraud, bankruptcy, and other business claims. "I've always been a hands-on litigator and I am excited to join the Ifrah team as their platform will allow me to continue to serve my clients efficiently," said George Calhoun. "Additionally, I look forward to the opportunity to work with Ifrah's existing financial services clients, as well as emerging industry clients like iGaming companies to develop strategies that help to define and protect their business models." Mr. Calhoun has an extensive background in dispute resolution, having appeared before numerous state and federal courts on behalf of clients ranging from publicly traded companies to large multi-national corporations to individuals. 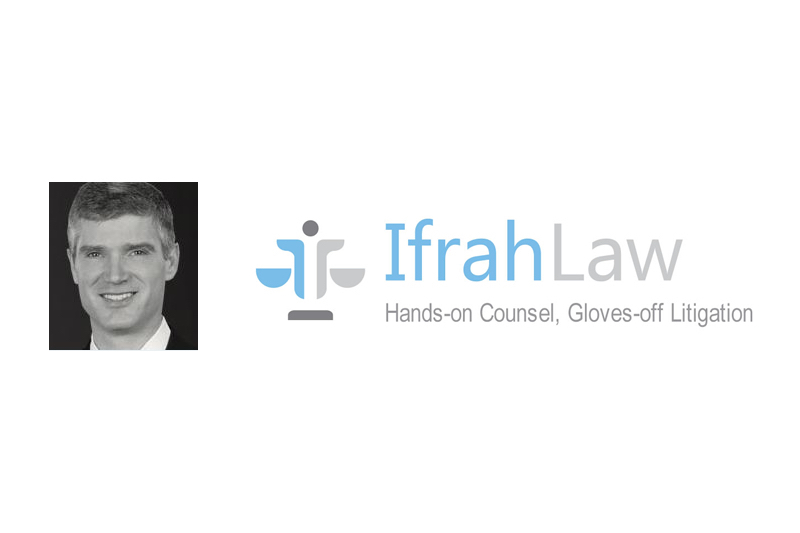 In addition to his robust litigation practice, Mr. Calhoun will team with Ifrah attorneys in niche areas like digital media, millennial marketing, e-commerce, healthcare, and iGaming. In that capacity, he will assist in reviewing compliance programs, contracts, advertising materials, and new regulations with an eye towards mitigating possible litigation claims or enforcement actions. "George is a fantastic addition to the Ifrah team," founding partner Jeff Ifrah said. "As our leading edge clients in financial services, e-commerce, iGaming, and digital media are increasingly facing more traditional enforcement and litigation actions from state Attorneys General, the SEC, the CFPB, and the CFTC, having George on our team vastly increases the service offerings we can provide our clients." Prior to joining Ifrah, Mr. Calhoun was Special Counsel at an Am Law 100 firm where he focused on complex litigation and business disputes. Mr. Calhoun is admitted to practice in the District of Columbia and Maryland; the United States District Courts for the District of Maryland, the Eastern District of Michigan, and the District of Columbia; the United States Court of Appeals for the Second and Third Circuits; as well as the United States Court of Federal Claims. Mr. Calhoun is a graduate of the University of Maryland School of Law, J.D., 1997, with honors, Order of the Coif. He received his B.A. from Vanderbilt University in 1994.